John Antonio joined DHPC Technologies as Director of Program Management and Operations in September 2010 and was promoted to Vice President in June 2011. 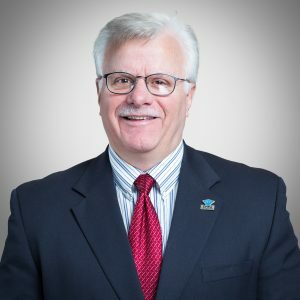 John is responsible for the daily oversight of all program management and back office functions, including financial management and reporting, security, human resources, facilities, recruiting, payroll, contracts, purchasing, travel and IT. He provides leadership, organizational and process development support for all of DHPC’s programs and works with both prime contractors and partners to define program requirements ensuring results are achieved and customers are satisfied. Prior to joining DHPC Technologies, Mr. Antonino enjoyed a career with the US Army, Northrop Grumman, Lucent Technologies, and AT&T, where he gained extensive knowledge and experience in the areas of project and program management. His background also includes experience in engineering, professional services delivery, product and business management, marketing, process re-engineering and technical management. Mr. Antonino holds a Bachelor of Science in Mechanical Engineering from Bucknell University, a Master of Science in Industrial Engineering, and a Master of Science in Management, both from Purdue University. He is a member of the Army Aviation Association of America (AAAA).